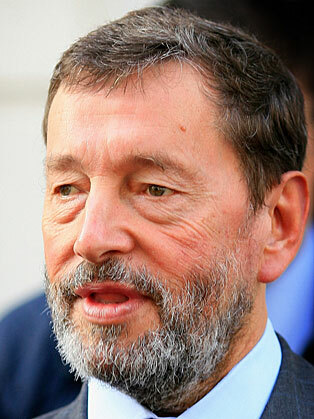 Growing up in poverty, Lord Blunkett’s circumstances were made even tougher when at the age of twelve he lost his father in a work accident. Rejecting the dismissal of many, and with the help of evening classes and day release from work, he entered the University of Sheffield and went on to become the youngest ever councillor in the city. After leading Sheffield City Council (described by a local Tory as ‘The People’s Republic of South Yorkshire’), David entered Parliament and held shadow portfolios in health, education and employment. Then as Labour Party Chair he became a key player in the development of New Labour. After the 1997 Labour landslide David was appointed Secretary of State for Education and Employment covering education and skills from early years, schooling, post-sixteen skills and apprenticeships, higher education and equal opportunities. As Home Secretary during one of the most tumultuous periods in recent history he oversaw one of the most controversial departments with responsibility for counter terrorism, immigration and justice. He also served as Secretary of State for Work and Pensions where his responsibilities covered retirement income, welfare benefits, the development of Job Centre Plus and work programmes. David stepped down as an MP after an impressive 28 years. After leaving the Commons, he not only continued his public service in the Lords, but was also appointed Professor of Politics in Practice at the University of Sheffield and Chair of the board of the University of Law. As well as giving an insider’s take on the political landscape, David talks with authority on managing change, social responsibility and the benefits of diversity alongside his own lessons in overcoming adversity. He is also an entertaining and surprisingly revealing after dinner speaker, with a fund of anecdotes about Labour’s years in power and life in Westminster. a board member of the National Citizens Service Trust, he has had a long standing interest in citizenship education and the well being of young people. A regular writer and commentator in the media, David has published The Blunkett Tapes (sub-titled My Life in the Bear Pit) and appeared on Mastermind – where he chose Harry Potter as his specialist subject.